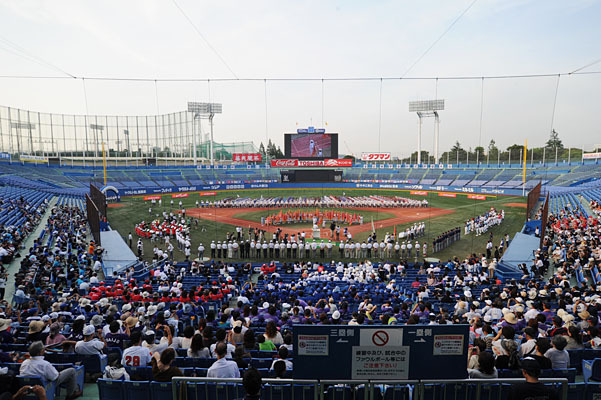 50 prefectural winners of preliminaries, participated by a total of 15,000 teams, assembled at Meiji Jingu Stadium in Tokyo on August 9 for the opening ceremony of the 31st Prince Takamado National Rubber Baseball Championship of players age 12 and under. The tournament will last for seven days. Many teams have alert and agile girl players as members.